Santa Cruz does not have its own international airport, but is serviced by the San Francisco, Oakland, and San Jose airports. San Jose has the closest airport, although the other two airports may occasionally have more economical fares. Please be aware that depending on arrival/departure time, travel time to and from Oakland may be significant due to traffic. Shuttles from these airports can be arranged in advance. For Bay Area airport shuttle information, please click here. For further airport connection details, including shuttles and public transportation, please click here. Santa Cruz is a popular holiday destination and offers a wide range of accommodation. We are offering options for varied budgets. All rooms are limited and available until sold out or noted expiration date is reached. The Dream Inn is a beachfront hotel in Santa Cruz, offering upscale accommodations. Ideally located a few blocks from The Boardwalk and close to UC Santa Cruz, the Dream Inn is Santa Cruz’s upscale boutique hotel. Make your reservation online or call 831-426-4330. This distinctive Santa Cruz, California bed and breakfast inn is situated on a bluff across from Cowell's Beach and the famous Santa Cruz Beach and Boardwalk. This Four Sisters Inn blends the modern luxuries and sophisticated services of a boutique hotel with the traditional amenities and architecture of a B & B. Code: Identify as IVA participant for UC rate. Perched atop one of the most spectacularly scenic vantage points on the entire Santa Cruz coastline, Beach Street Inn and Suites offers guests breathtaking views of the Monterey Bay and the main beach directly below. Their newly renovated ocean view rooms overlooking the bay are equipped with flat screen TVs, ipod docking stations, wireless internet and free WiFi. At the Sea and Sand, every room has an ocean view, free continental breakfast, selected rooms with spas, suites with hot tubs on private patios overlooking ocean, complimentary wireless Internet service in every room, Mediterranean climate, European charm, and within easy walking distance to the Santa Cruz wharf and Boardwalk. 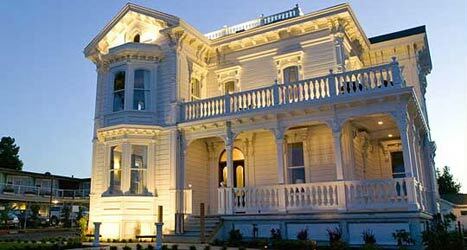 The Seaway Inn is a charming Santa Cruz hotel perched on a hillside overlooking Monterey Bay. It has all the warmth and coziness of a classic beach hotel with a full array of modern amenities. It is just a short walk to family fun at the Santa Cruz Beach Boardwalk, world-class surfing at Steamer Lane, fine dining at the Municipal Wharf, and unique shops and entertainment in bustling Downtown Santa Cruz. Code: Ask for Stephanie (Tues - Sat, 7:00 am - 3:00 pm). The Ocean Pacific Lodge is a Santa Cruz beach hotel. The hotel is only two blocks away from the Santa Cruz wharf which offers boating tours, fishing, local shops, and fine dining. Just a block further, the historic Santa Cruz Beach Boardwalk is a must see for visitors to the area. The hotel is located on Pacific Ave. just minutes away from lively downtown Santa Cruz, Santa Cruz Beach Boardwalk, beautiful beaches and one of California's most scenic coastlines. 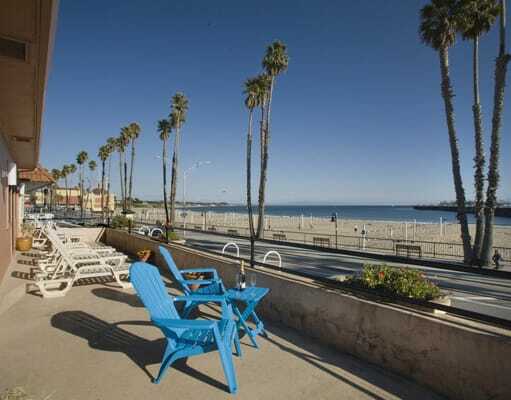 They are within walking distance to the Santa Cruz Beach Boardwalk and a variety of local restaurants and bars. 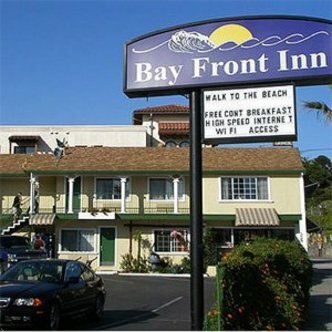 The Bay Front Inn offers a complimentary continental breakfast, free wireless internet, free parking, and pet-friendly accommodations.